Sharing VR with friends is fun. Sharing audio issues is not. 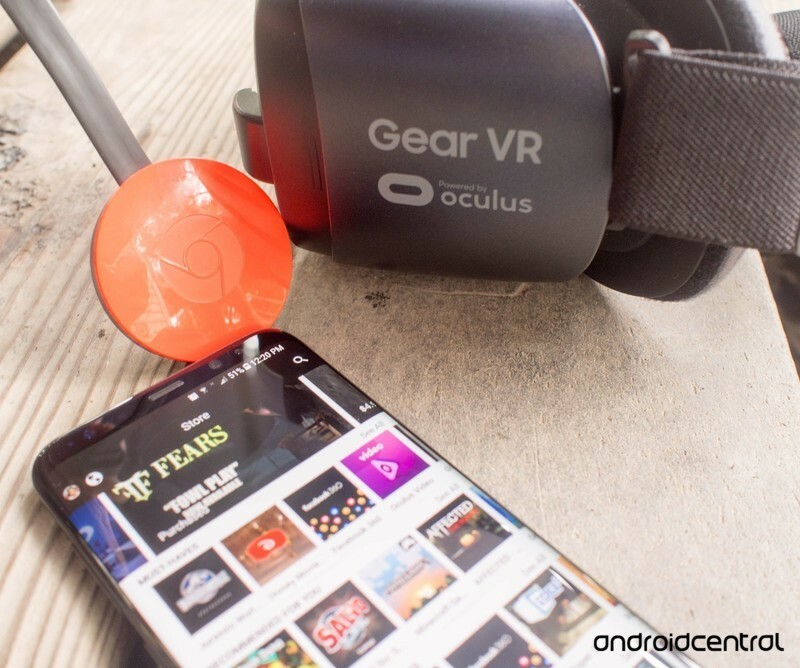 Here’s how to fix your audio issues when streaming Gear VR to a Chromecast. A great addition to the Gear VR is the ability to stream your virtual reality session to Chromecast devices. This lets you take your personal VR view and cast it to a TV that your friends and family can watch. Unfortunately, a common issue with this setup is audio not working well or not working at all. There are a few causes for this and some fixes you should try before deciding that VR has to be a solo experience. Since streaming the Gear VR to the Chromecast rolled out, audio syncing has been an issue. The Chromecast seems to struggle with the demand of streaming VR audio and video in sync. Even higher-end Chromecasts still have some audio syncing issues. As a result of this, some developers have opted to not even support audio casting when you’re streaming the Gear VR’s video. This doesn’t fix the problem but also likely prevents people from rating apps lower for an issue that isn’t the developer’s fault. But just because the problem is common, doesn’t mean you can’t do anything about it. There are some general fixes that help your experience improve. 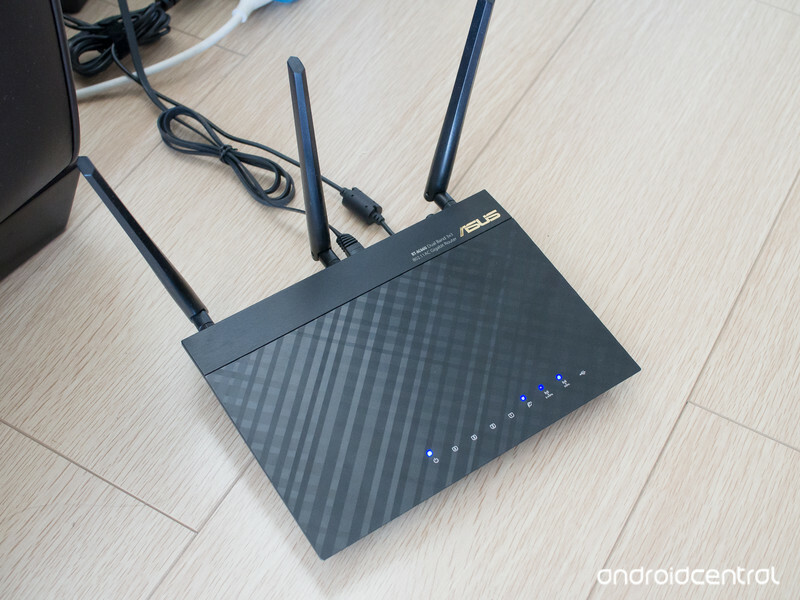 It doesn’t matter which hardware you’re using if you’re on a bad network or have a bad connection between your phone and your Chromecast. 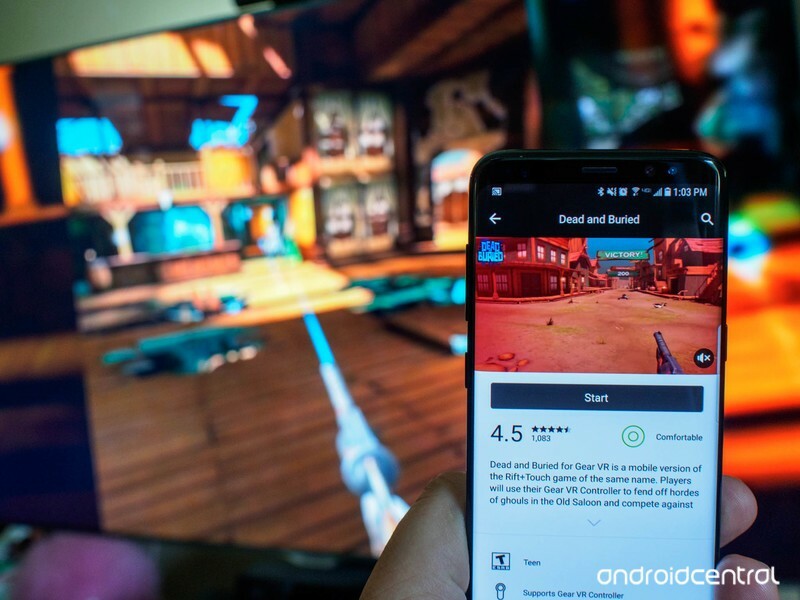 Make sure that your network has a strong connection where you’re using your Gear VR and Chromecast. Additionally, if your game relies on the web, make sure that your internet speed is high enough and consistent enough to stream content. There are multiple versions of the Chromecast, including two that are relatively new. The latest generation Chromecast costs $35 and the Chromecast Ultra which supports 4K costs $69.99. 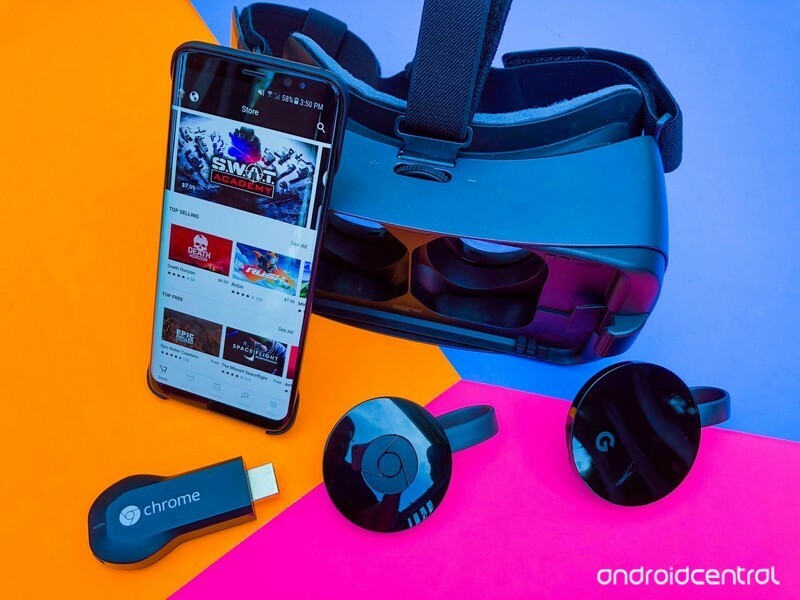 In our testing to determine the best Chromecast to use with your Gear VR, we found that audio latency issues were cut in half while using the Chromecast Ultra compared the latest generation Chromecast. Sometimes the issues isn’t your fault. Some users have found that no matter what they do, Chromecast still won’t work with audio when you’re streaming your Gear VR. If this is what you’ve run into, you can check out alternatives, some of which you might not realize you already have in your house. 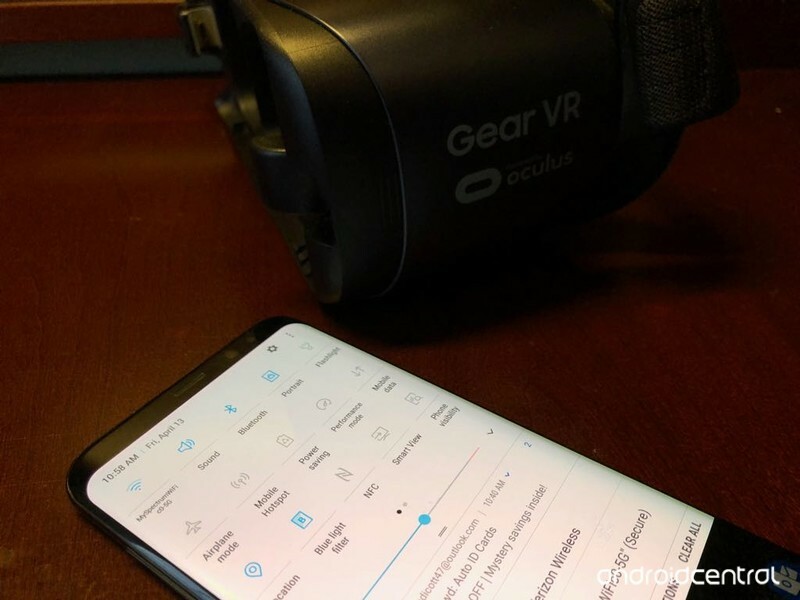 If your TV has built in casting, whether that be Samsung’s support of Miracast, Hisenses’s Anyview cast, or many other casting options, you can cast your Galaxy phone to the TV and then place your phone into your Gear VR. In my tes,ting I found that casting my Galaxy S8+ to our Samsung Series 6 worked well and audio seemed to line up. It’s important to remember that alternatives don’t requirea Samsung TV as many other TVs have casting support. In fact, many of them are using the same technology that’s just labelled differently. 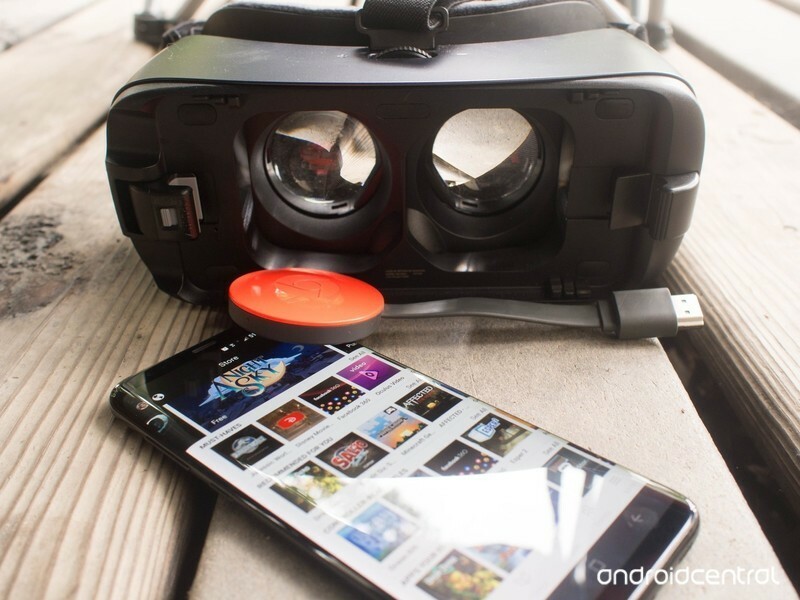 How has your experience been when casting your Gear VR to a Chromecast? Have you managed to iron out any bugs or have you had to look at alternatives. Let us know in the comments below.